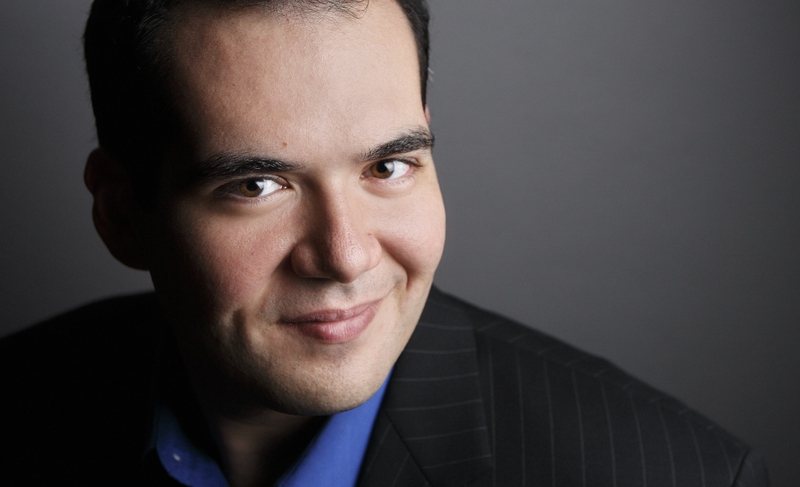 This season, Dominic joins the Milwaukee Symphony for Bach’s Magnificat, Curtis on Tour for their annual touring initiative, Hudson Hall as Jo the Loiterer in The Mother of us All, and appears with both Los Angeles Opera and the Center for Contemporary Opera in a double bill of two Gordon Getty one-act operas, Usher House and The Canterville Ghost, as Edgar Allen Poe and Duke Cecil of Yorkshire. Last season, Mr. Armstrong returned to Dayton Opera as Don José in Carmen and to the Lansing Symphony for Beethoven’s Ninth Symphony. In January he joined Beth Morrison Projects for the New York City performances of Breaking the Waves. Previously, Dominic traveled to Russia to perform Britten’s War Requeim with the Russian National Orchestra and subsequently performed in a series of concerts, collaborating with Craig Rutenberg. He also made his company debut with Opera Colorado as Arthur Dimmesdale in the anticipated world premiere of The Scarlet Letter, sang the Second Jew in Salome with the Detroit Symphony Orchestra, and performed in recital with the Brooklyn Art Song Society. During the summer of 2016, Mr. Armstrong performed the role of Alfredo in La traviata with Chautauqua Opera.